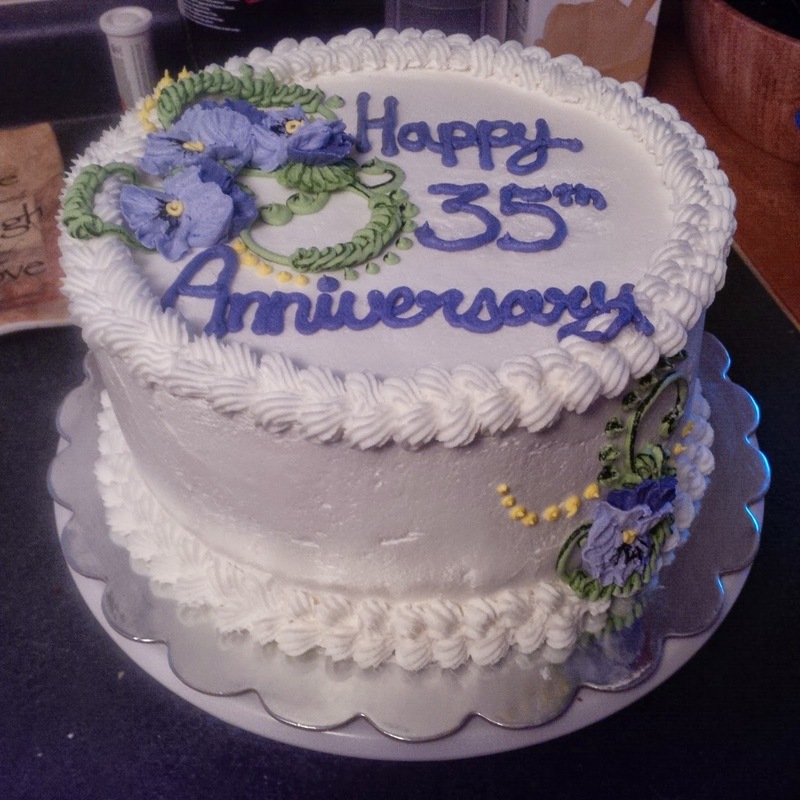 This cake was made to celebrate a Happy Anniversary! Size: This cake was made out of three 9 inch cake pans, stacked on top of each other. 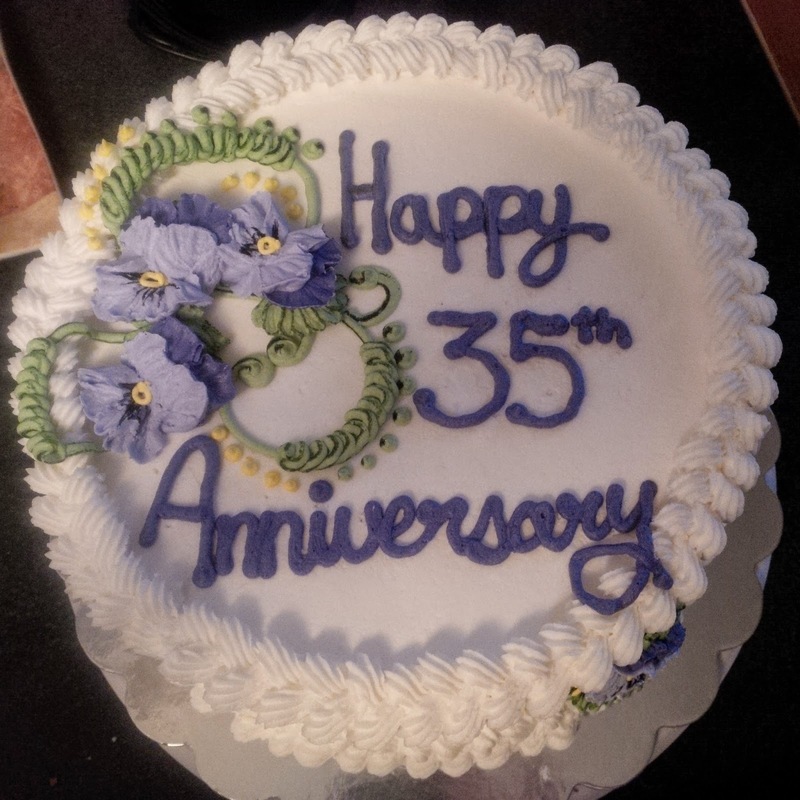 Flavour: This cake was a rich homemade vanilla batter. 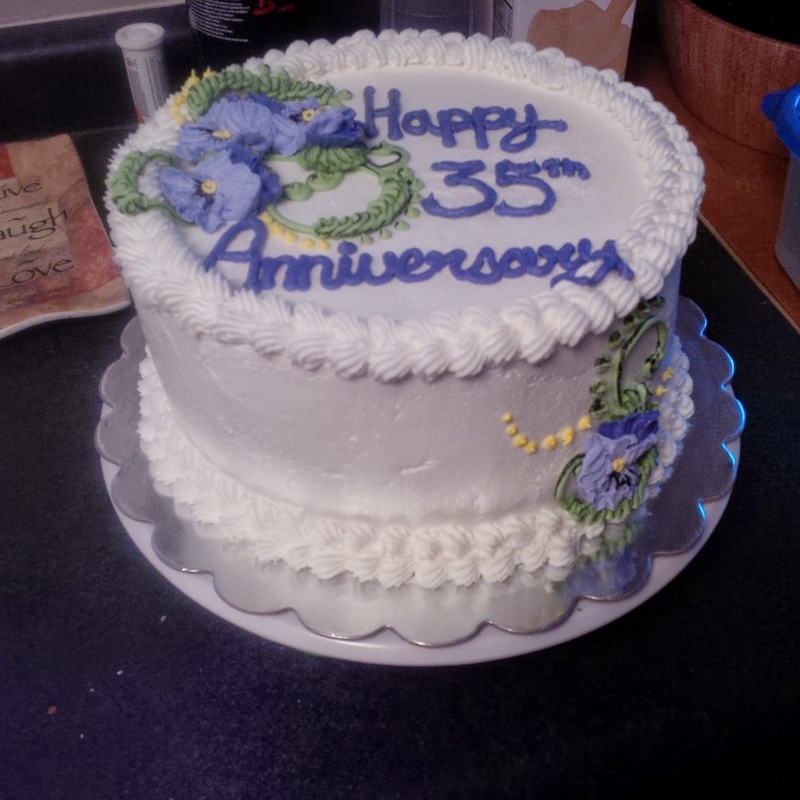 Filling: This cake was filled with Chantilly cream and fresh strawberries. 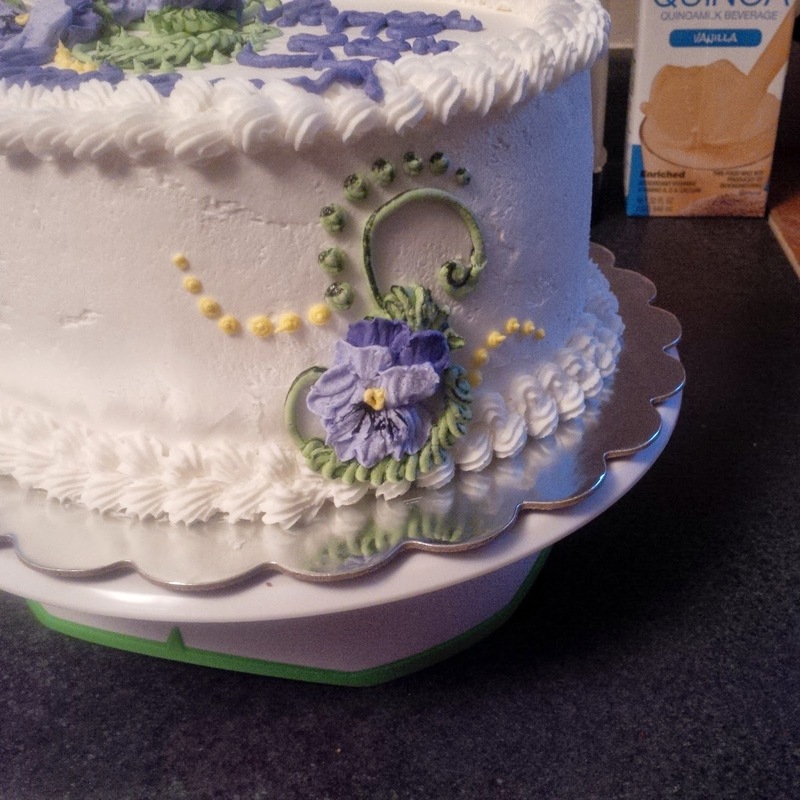 Icing and Decorations: This cake was iced with homemade buttercream. All decorations are made out of coloured buttercream.